Labour MP Stephen Kinnock has said it is time for backbenchers to "step up to the plate" and solve the Brexit impasse. The politician appeared on the breakfast show to discuss his new Norway-plus plan for a so-called 'soft Brexit', which he is launching today with fellow Labour MP Lucy Powell and Conservatives Nick Boles and Robert Halfon. "It's the same plan I've been banging the drum for for two years," he told talkRADIO's Julia Hartley-Brewer. "The Malthouse compromise involved reopening the withdrawal agreement. Our plan doesn't, ours is only about changing the political declaration on the future relationship." 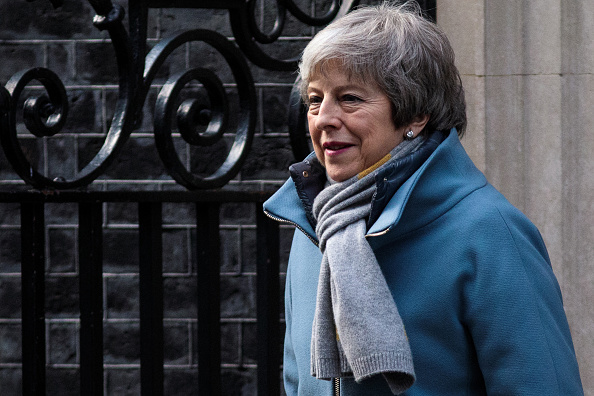 The MPs proposed Brexit plan would involve remaining in the single market and having a "form of customs arrangement", rather than a customs union. "The basic premise for us is 52/48 [EU referendum result] is a mandate to move house, but stay in the same neighbourhood," he said. "It's a compromise - what we're saying is it's time for British politics to rediscover the lost art of compromise." He added: "It's up to us now as backbenchers to step up to the plate, be pragmatic, sensible, build bridges and act in the national interest."